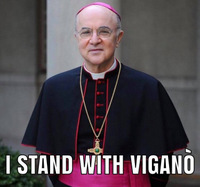 A crushing situation is emerging for, not only Barack Obama, but also for the American people as a landmark statement has been made by the Obama administration that is going to turn the entire 2012 Presidential race and potentially much more on its head. Lawyers representing the current sitting President of the United States of America have been forced, under penalty of perjury, to admit that the long-form birth certificate presented by the White House in April of 2011 is a total forgery. In a NJ ballot access eligibility case spawned by Tea Party activists, attorneys representing Obama had to admit the document presented to the American people by Obama himself is actually knowingly faked and was used to fool the American public into believing a complete fabrication. What could be the most shocking aspect of the situation, however, may be the fact that Obama and his attorneys have crafted an argument that truly boggles the mind. In a direct assault on everything the citizens of the USA take for granted, in layman’s terms, his attorneys literally made the argument during a hearing on April 10th that because the document was so obviously faked and could not possibly be considered proof of citizenship, the document itself should not be allowed as evidence in the case. Obama is now basically asserting that only a legitimate document should be allowed as evidence in this case and therefore this one should be thrown out due to the fact that it’s not real. The Judge agreed. In what may turn out to be one of the biggest scandals in the history of the United States, the Obama administration itself has now virtually admitted to High Crimes and Misdemeanors and to deceiving the public into believing a lie that was ironically intended to distract awareness from the actual issue that truly determines his eligibility, or lack thereof. Even though now it has become evident that Obama cannot prove he was born in the Unites States after all, even before that admission in court, it was already known that he was not actually eligible to become either Vice President or President, due to the fact that Obama is not a “Natural Born” Citizen. 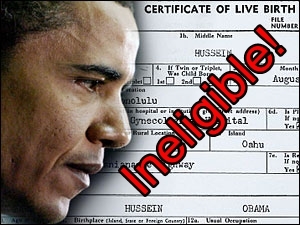 Although presenting the fake birth certificate to the American people was an attempt to falsely prove his automatic eligibility, even prior to the ‘President’s’ issuance of the fabricated document to the public last spring, attorneys arguing against his eligibility since 2007 proved that Obama was simply ineligible due to the fact that only one of his parents was a US citizen. Ironically, arguments have been made against this age-old constitutional mandate with regard to Obama’s eligibility by using John McCain’s ’08 eligibility situation as an example, while missing the fact that even McCain’s parents were both born in the USA and therefore was ultimately allowed to run for office, even though he was born on a US military base in Panama. This simply isn’t the case for Obama, aside from the fact that his administration has now admitted to open criminal activity and blatant ineligibility on multiple fronts. Daily Pen Editor, Pen Johannson released a story Monday in a devastating editorial explaining the circumstances as one that is sure to set off a firestorm of controversy and could end up creating a gigantic constitutional and legislative nightmare of epic proportions in the weeks and months to come. Brace yourself folks, it’s bound to get a little bumpy.